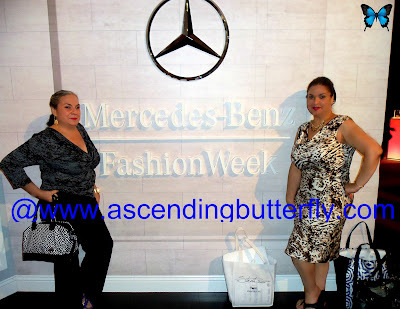 Ascending Butterfly: Where #Fashion and #Philanthropy meet: Highlights from #STRUTMOMS at #MBFW #NYFW! 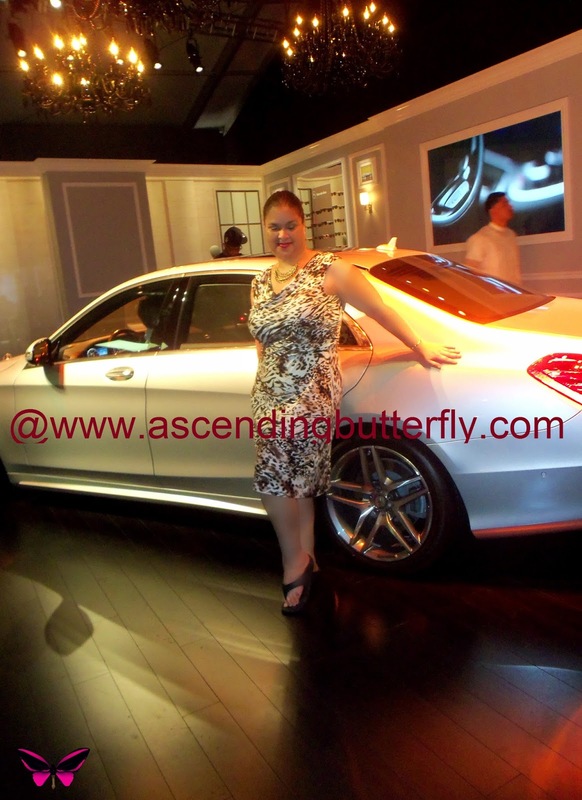 Where #Fashion and #Philanthropy meet: Highlights from #STRUTMOMS at #MBFW #NYFW! Because for the most part I post daily I know many of you were worried as I hadn't posted yet this week, I promise my health is fine and I didn't get trampled during Mercedes-Benz Fashion Week, in fact I had to duck out on the last half of it for a very good cause and I will share more about that shortly. 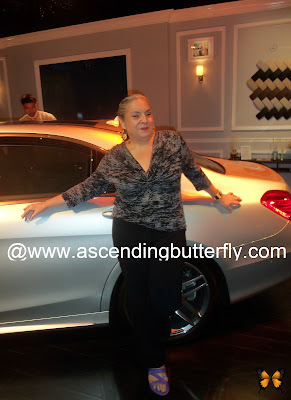 As I mentioned last week I took in less shows this year and chose the ones I attended based on it's 'story', I picked shows that had an interesting backstory starting from my coverage of Latinista Fashion Week leading into my coverage of the shows I took in during Mercedes-Benz New York Fashion Week 2013. This show caught my attention because it's where Fashion truly met Philanthropy, and you know Ascending Butterfly loves profiling and highlighting the people and brands that give back. The Moms collaborated with SWW Creative to present 'Strut. Now in it's third year, this year's theme was "Moms Strut for a Cause". 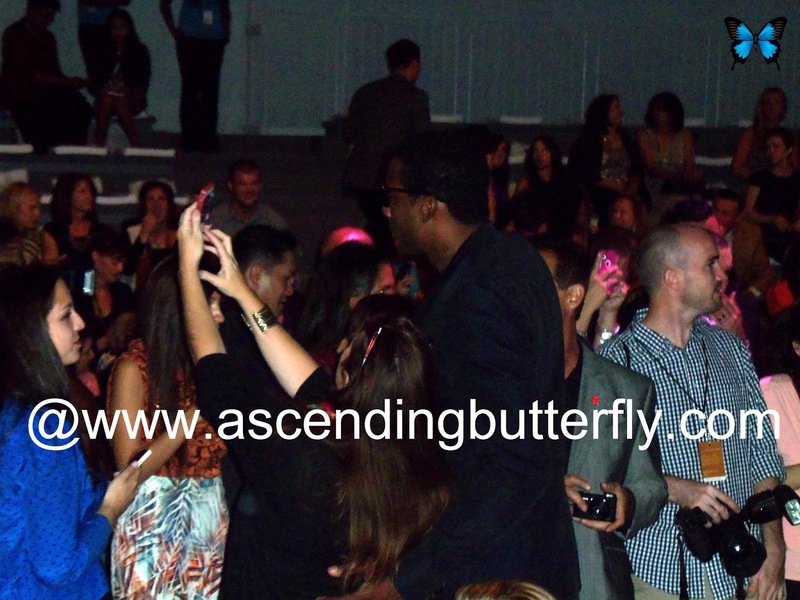 The show is known for the fact that it features real moms walking the runway. Moms of all shapes and sizes wore clothes that are currently in stores. This year Bloomingdale's styled the show highlighting fall fashion trends from designers including: Ramy Brook, Jay Godfrey, Torn by Ronny Kobo, Yosi, Samra, Twenty, JustFab, Kay Unger and Zeus + Dione. The show created by Denise Albert and Melissa Musen Gerstein of The Moms was Executive Produced by Stephanie Winston Wolkoff of SWW Creative, not only did the Creators and Executive Producer walk the runway during the show, but the show also featured Amber Sabathia (Creator and Designer of CCandy and wife of New York Yankees CC Sabathia) who walked the runway along with her children for the PitCCh In Foundation which helps inner city youth, Alexis Stoudemire (wife of the New York Knicks' Amar'e Stoudemire), who walked for The Amar'e Stoudemire Foundation, Meredith Johns walking for Feeding America, Melissa Meyers who walked for FARE (@FoodAllergy), Victoria Recano who walked for March of Dimes, Casey Santiago who walked for Kangu, Laura Posada who walked for National Foundation for Facial Reconstruction, Katina Taylor who walked for The Jason Taylor Foundation, Tara Abrahams who walked for Girl Rising, Tammy Mager who walked for 5 Under 40, Shannon Sutherland who walked on behalf of Whirlpool Habitat for Humanity, Suzanne Chan (walked for the same cause as Shannon), David Kirsch who walked for Share Our Strength No Kid Hungry, Debra Lewis-Boothman who walked for The Leukemia & Lymphoma Society, Michelle Dennedy, Cyber Safety for Families/End Child ID Theft, Melissa Chapman who walked for Louie's Legacy, Corine Ingrassia who walked for R Baby Foundation, Brianne Manz who walked for Make A Wish Foundation, Naima Sanowar who walked for Robin Hood, Elizabeth Chabner Thompson who walked for BFFL Co. - Friends Fighting Breast Cancer, Holly Pavlika who walked for UN Shot, Mikaela Walker, Jenna Crandell who walked for PS. I Adore You, Cait Beauchaine, Darlene Rodriguez who walked for The Cristan Rivera Foundation, Alysia Reiner who walked for Healthy Child, Claire Lazarus who walked in honor of her mother Marilyn who died of Breast Cancer in 2010, Benita Oberlander who walked for JCC Manhattan Parkinson's Wellness Program (Benita is (creator of Strut) Denise Albert's mom), and last but certainly not least, Debbi Musen who walked for Gateway to Hope (is (creator of Strut) Melissa Musen's Mom). Lead Sponsors included (in alphabetical order), Cottonelle, Vaseline Spray & Go, and Whirlpool. 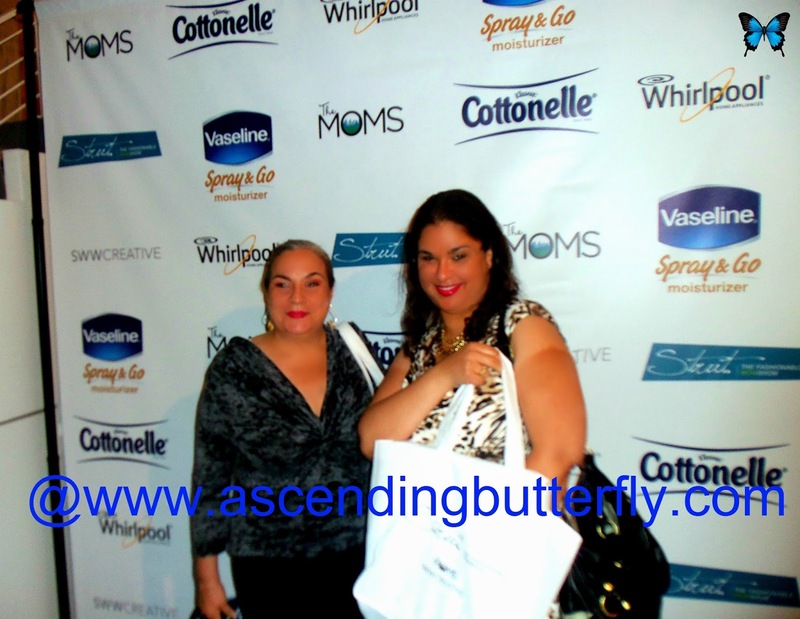 The after party was held at The Shops at Columbus Circle at Time Warner Center (one of my favorite places to buy Coach Handbags is there, great service at that specific location, yes we all know I'm Handbag Obsessed and proud of it), and gift bags included items from Sarah Potempa, Hair Room Service, and of course Vaseline Spray and Go! The show was kicked off by sounds from 10 year old DJ, DJ Fulano (I have a funny feeling if I ever had a kid he or she would end up doing exactly this! ), and guests were treated to 'bum friendly seating' from Cottonelle with cushions to watch the show! 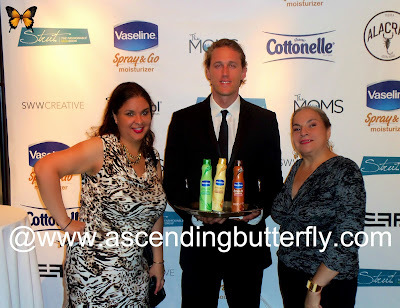 #STRUTMOMS After Party with Vaseline Spray and Go! I loved the combination of Fashion and Philanthropy and seeing women of all shapes and sizes on the runway all walking for a cause! At the after party, the cocktail sponsor, Alacran Tequila served up some amazing Margaritas! I keep encouraging Spirit Brands to sponsor events, because now that I have discovered them I will be buying it, it's a really enjoyable Tequila! I have some more Fashion Events coming up and long overdue review and giveaways too! FTC Disclosure: This is NOT a compensated post. I attended the show as a member of the Digital Media and no monetary compensation has been exchanged to provide my event recap coverage. Gift Bags were provided and that did not influence my opinions. Three cheers to all the brands that took part in the The Strut and The Moms for putting together a great show for so many wonderful causes.Wow DJ fulano, 10 years old nice going !! I love profiling and featuring people and brands who give back. I think it's wonderful that STRUT combined Fashion and Philanthropy in such an approachable and FUN way! this looks so wonderful. thanks for the whole recap.